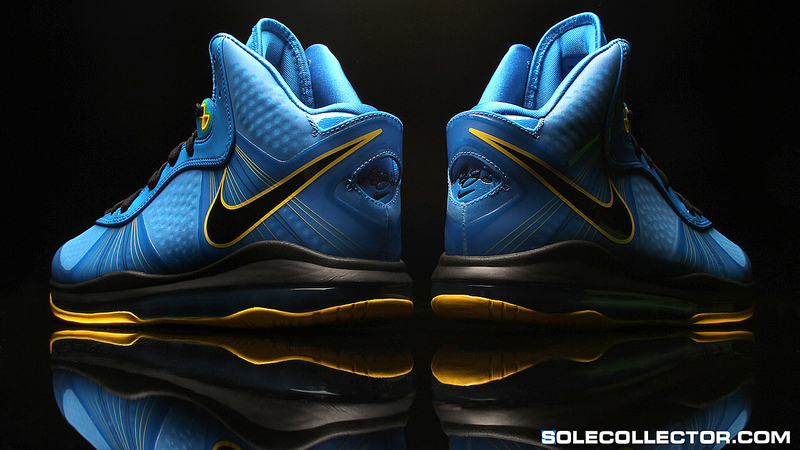 Today's Sole Collector Wallpaper Of The Day features the recently released 'Entourage' Nike LeBron 8 V/2. For today's Sole Collector Wallpaper of the day we feature none other than the recently released 'Entourage' Nike LeBron 8 V/2. Working in a combination of photo blue, tour yellow and black, this latest release of the Nike LeBron 8 V/2 is directly inspired by one of the original Entourage television series posters. Heavily favored by many, the 'Entourage' edition was the most anticipated release of the V/2 since the debut Christmas Day edition. Click image to enlarge, right click and save as to set the 'Entourage' Nike LeBron 8 V/2 as your latest desktop wallpaper.